Put Your True Power and Capabilities to Work! Good news–there is! Meridian Success Group uses the Pinnacle Success System™ to teach entrepreneurial-minded professionals how to increase their earnings while substantially decreasing their time “at work.” It’s an iterative process, and each course provides the opportunity for immediate growth, as well as a process and tools to sustain it. Each course informs the next and will help you fully bring your power and capabilities to life. Do you know what makes you truly unique? What are your special capabilities and talents? When is your energy vibrant? Are you using these things to differentiate yourself from the competition? 1. 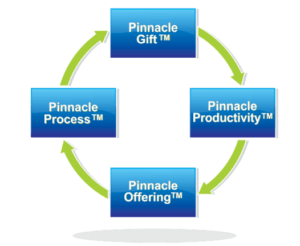 Discover your Pinnacle Gift™ and the superior value you offer through your business. 2. Develop a personal branding statement, so you and everyone else in the world knows what sets you apart from the rest. 3. Determine your highest-ROI activities and how to invest your time and efforts in them. 4. Take the next foundational steps in optimizing your pathway to success! Most professionals list time and productivity as one of their top challenges. Is the battle of doing the work you love versus completing the stuff that simply drains your battery exhausting you? Have you taken time management classes and learned how to cram more stuff in your day, only to discover that checking lists and switching from one task to another creates LESS balance and ZERO fulfillment? Discover how you are presently spending your time and ways to more intentionally invest in it. Learn how to structure your calendar in a way that leverages your highest value activities (your GIFTS! ), which is foundational for making more money and finding fulfillment. Understand the four distinct categories of productivity and immediately apply them to your business and personal life. Practice using a process and tools to evaluate every activity in your day to determine their actual value. 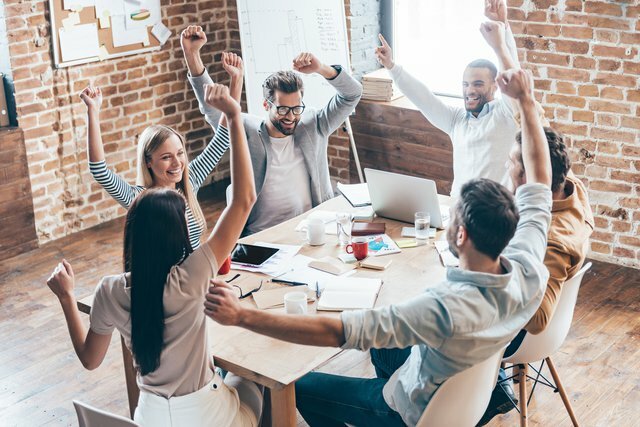 Create a strategy to address those non-productive, energy-sucking, or brain-numbing activities. Who’s your ideal client? What products and services do you offer that those you serve value highly and never complain about paying for? This course integrates your Gift and Productivity Plan and helps you answer those questions. The result is a more unique offering with higher value clients. And ultimately, the outcome is higher margins and profitability along with a more rewarding lifetime of client relationships. This is the capstone of the Pinnacle Success System ™ course. It incorporates the awareness, growth and new capabilities gained from the first three courses, and takes it to a new level. At this point, you can clearly represent how you solve your client’s needs in a way that is uniquely yours. The next step is a specialized process to develop powerful, proprietary intellectual property to move your business up the competition continuum to a unique position in the marketplace. To sign up for a Pinnacle Success System™ course, please click on the “BUY NOW” link below. If you prefer to pay by credit card rather than through a Paypal account, choose the Stripe option at the bottom of the checkout page.